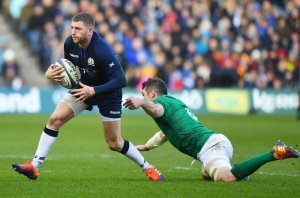 Scotland’s seven-match home winning run came crashing to a halt as the sloppiness which marred the opening Six Nations victory over Italy came back to haunt them against Ireland. Gregor Townsend’s men conceded three late tries last weekend and lessons weren’t learned as the visitors cashed in on more defensive lapses. The Scots had gone into the match with designs on a second successive win but were the architects of their own downfall in a physical encounter in the Capital. Both teams had contributed to a hugely entertaining first half with Ireland turning 12-10 in front despite Scotland dominating possession. The home fans looking for their team to build on a sparkling display after the break were left hugely disappointed, with the second period belonging firmly to Ireland who snuffed out any threats posed by the men in dark blue. Too many times when Scotland looked to build real momentum in attack, a slack forward pass or a handling error would bring them shuddering to a halt. Despite having the best of the early exchanges to lead 3-0, Scotland were soon on the back foot after losing two quick tries to Conor Murray and Jacob Stockdale. The first was put on a plate by the Scots, Tommy Seymour throwing a poor pass to Sean Maitland as he gathered a kick on from Stockdale and Murray nipped in to touch down. It was a flavour of what was to come for Townsend’s side, though they flattered to deceive as Sam Johnson went over after a magnificent interception and lay-off from Finn Russell 12 minutes from the interval. That creativity and invention was posted missing in the second half, the absence of the injured Stuart Hogg no doubt a contributing factor. 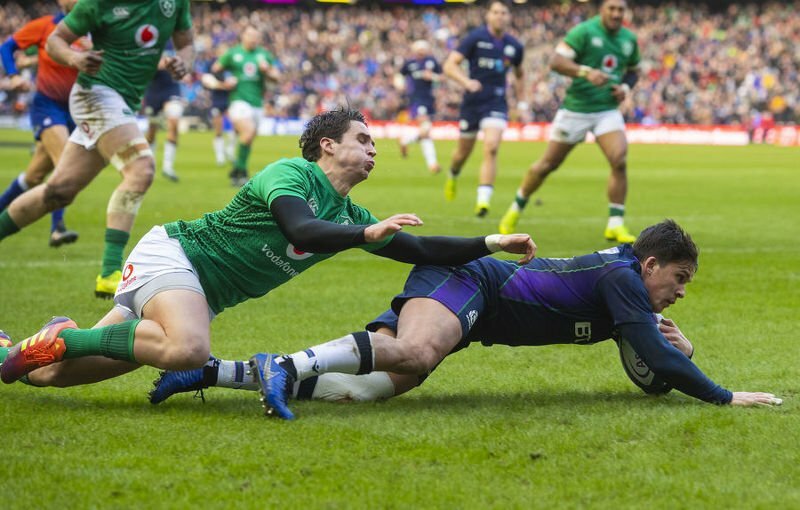 Another loose ball provided Ireland with their third try of the day, Joe Carbery pouncing in midfield before setting up Earls for the decisive try as the visitors rebounded from their defeat to England in Dublin. Laidlaw sent a penalty over to reduce the deficit to 13-19 but any hope of snatching the spoils disappeared when a Carbery penalty took the Irish two scores clear again. 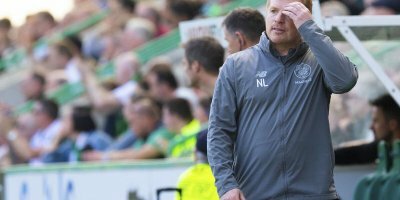 “The effort the players put into the first-half was outstanding,” said Townsend, ‘how they implemented the game plan we worked on all week and put Ireland under pressure. Next up is a trip to Paris when the Scots will go in search of their first win since 1999. 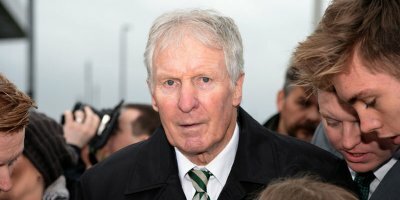 “We’re going to have to bounce back against France,” said Russell. “We’ll need to be at our best if we are to win over there. “These are the situations you love to be in when you’re on the back foot a little bit and have to come out fighting. Scotland: S Hogg; T Seymour, H Jones, S Johnson, S Maitland; F Russell, G Laidlaw (capt); A Dell, S McInally, S Berghan; G Gilchrist, J Gray; R Wilson, J Ritchie, J Strauss. Replacements: F Brown for McInally 64, J Bhatti for Dell 69, D Rae for Berghan 69, R Harley for Wilson 41, A Price for Laidlaw 69, P Horne for Johnson 64, B Kinghorn for Hogg 17. Ireland: R Kearney; K Earls, C Farrell, B Aki, J Stockdale; J Sexton, C Murray; C Healy, R Best (capt), T Furlong; J Ryan, Q Roux; P O’Mahony, S O’Brien, J Conan. Replacements: S Cronin for Best 72, D Kilcoyne for Healy 59, A Porter for Furlong 68, U Dillane for Roux 68, J van der Flier for O’Brien 64, J Cooney for Murray 77, J Carbery for Sexton 24, J Larmour for Stockdale 72. England sent out a stark warning to their Six Nations rivals with a thumping win over France which carried them to the top of the table. The points were in the bag before half-time with Johnny May going over three times and Henry Slade also touching down for the rampant hosts who raced into a 30-8 lead at the break. The advantage was stretched even further when the French conceded a penalty try and then Owen Farrell scored England’s sixth try of a one-sided encounter. Only once before have England beaten France by a bigger margin and May was pleased with the way the team built on last week’s win in Dublin. He said: “Trying to raise the bar after last week was the challenge, but we came out and definitely played some good rugby. “The brand of rugby we want to play, we want to put teams under pressure. I’m just doing my job, we are all working hard and putting some good performances together. Wales matched their record run of 11 consecutive victories with a hard-fought win over a plucky Italy team in Rome. Dan Biggar scored 14 points for the visitors who also saw Josh Adams and Owen Watkin go over. With 10 changes having been made to the side which came from behind to beat France last weekend, this was very much an experimental line-up for Warren Gatland. Pleased to have got the job done, albeit without much flare, the head coach insisted the performance will be much improved for the showdown with England at the Millennium Stadium on 23 February. “A lot of people will write us off, which is a good position to be in. You’re not always brilliant and we weren’t. We will be a lot better against England.